Current experience of managing pain is burdensome for patients. Providers often recommend to write a pain diary, but difficult for patients to know what to write on a daily basis. When patients visit doctor or ER, the check-in process is never easy and it is hard to describe their pain with words - which might not lead to correct treatment or prescription. CarePal provides easy tracking process that record key factors that impact pain such as emotional state. Pain qualities are visualized in animations to help patients overcome language barriers and effectively convey. User inputs are converted into digital reports for faster check-in process and to help providers see clinically significant info. 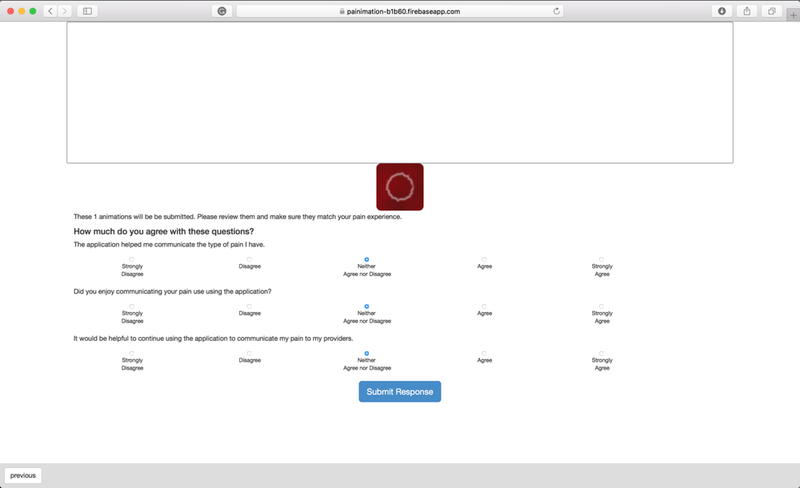 We partnered with a pain provider at University of Pittsburgh Medical Center to improve the usability of an existing mobile app prototype called Painimation. Painimation helps patients 1) identify the location of their pain via body coloring, and 2) describe the type of pain they have through animations. 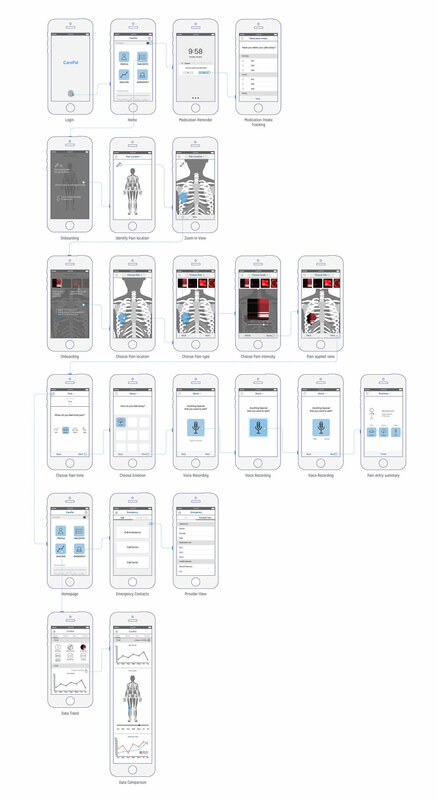 Instead of directly jumping into the app redesign process, the team decided to conduct exploratory research with providers and patients to figure out the usage scenario for Painimation (patient and provider needs), and thus clarify our objective for the redesign. We interviewed 6 sickle cell patients at UPMC's sickle cell anemia clinic. We aimed to 1) examine the current patient experience with pain, providers and pain tracking, 2) probe their reactions to the pain animation functionality. We interviewed 2 providers & surveyed 4 providers. We aimed to 1) examine the current workflow with patient appointments, 2) probe for their reactions to the animation functionality, 3) look into difficulties in understanding a patient’s pain, and 4) data they would need or like to have to improve their treatment plans. consolidates all personal and medical data into one place to save both patient and provider's time. Emergency - quickly access emergency contact and show ER provider all the essential information. For the final design, we rebranded Painimation into CarePal to better encompass the new features and broader focus of the app. 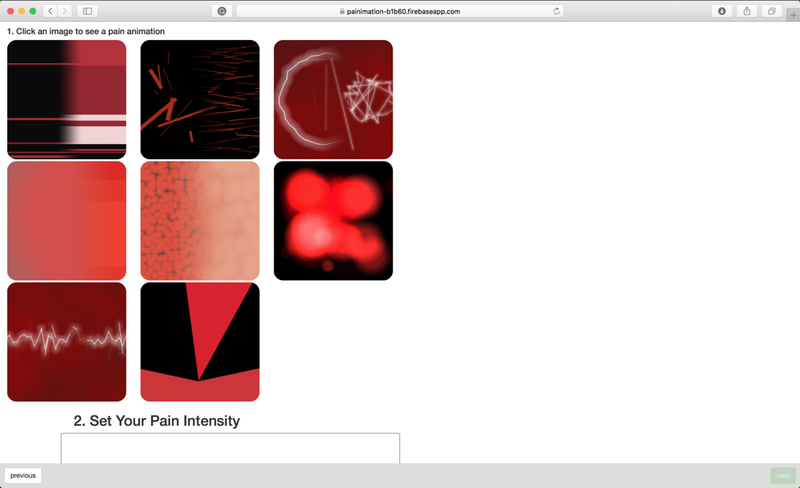 We focused particularly on developing the UI for the "Pain Entry" flow. We chose new colors that fit in with the medical focus while remaining visually appealing and friendly to the user. We also kept design patterns about lowering patient's burden in mind. Currently, our client is in the process of pitching to investors, and plans to conduct user testing of CarePal with pain patients and providers in Pittsburgh, PA. We will continue to refine our design to make it easier for users to continuously communicate their pain.